AURORA is a stunning example of the respected and well-proven Little Harbor 62 series. She is most certainly the best Little Harbor 62 available and likely the best floating. She shows like a new boat inside and out and is as fresh as can be. As described herein, her current owner completed a full comprehensive year-long refit in 2012/2013, where no part of the boat was left untouched. A prior refit in 2006 included new engines, electronics and other equipment. She is ready to cruise anywhere at a moment’s notice. AURORA is a boat that needs no excuses. She has a minimum draft of 6’ with centerboard up and a maximum draft of 13’-9” with board down. 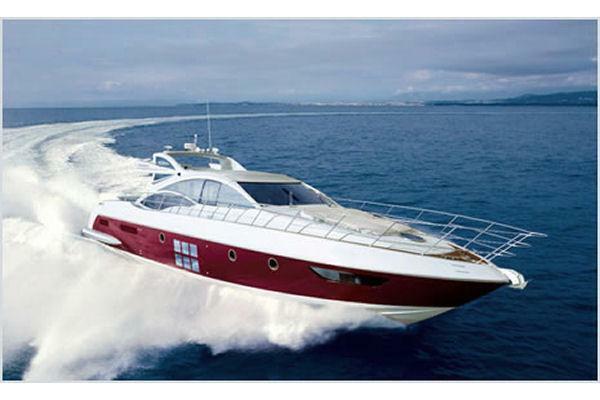 AURORA has excellent potential as a charter yacht and will not disappoint upon inspection. Her shallow draft, powerful hull form, roomy interior and low-profile center cockpit design are just some of her many attributes. United Yacht Sales New Jersey would love to guide you through a personal showing of this 62' Little Harbor 62 1981. This yacht for sale is located in Harpswell, Maine and priced at $575,000. For a showing please contact us by filling out the form on this page and we will get back to you shortly! AURORA sleeps eight comfortably in four private en-suite staterooms. All interior joinerwork is varnished teak and in exceptional condition, with high-gloss trim and hand-rubbed teak and holly floorboards (all removed, stripped and varnished in 2013). Exceptional light and ventilation is provided throughout by (7) deck hatches (new 2013), (12) dorade vents (refinished 2013), (10) solid cabin windows (new 2013) and an incredible (24) opening portholes in hull and cabin sides (new 2013). All upholstery and linens were replaced in 2013, including fitted sheets and bedding. All new fresh water electric heads and sanitation hoses (August, 2015). Further aft are port and starboard guest staterooms. The port cabin has upper and lower bunks with new (2013) 5" foam mattresses and covers, a large hanging locker and front-opening lockers. There is a guest/day head and shower, accessible from both the cabin and the main salon. The starboard cabin has twin single berths with new (2013) 5" foam mattresses and covers, nightstand, a hanging locker and numerous front-opening lockers. There is a private head forward with separate shower stall. The main salon is the focal point of the Little Harbor 62. Her generous beam, (8) large opening hull ports and (10) fixed cabin windows (new 2013) (with U.V. shades) provide an unusually light, airy and expansive living area with great visibility outside, even when seated.To starboard is a leather (new 2013) L-shaped dining area with a large teak table with fold-up leaves. Two fold-up chairs supplement seating capacity at the table. Aft of the dining area is a full bar area with bottle, dish and glass storage.To port is a long, L-shaped leather settee (new 2013) with coffee table. An entertainment bureau with stereo and storage space is forward on centerline.Moving aft to port is the aft-facing navigation station with leather pedestal chair (new 2013), book shelves and numerous storage lockers. The ship's main electrical panels and switch controls are integrated into this area for easy access. A passageway leads aft to the master stateroom, which features a large double berth with 6" memory foam mattress and day cover (new 2013) to starboard, and a single berth with 5" foam mattress and cover (new 2013) to port. There are two large hanging lockers and an abundance of bookshelves, drawers and front-opening lockers. A private head is aft, with separate shower stall to starboard.In addition to (6) opening portholes, there is a private companionway with dodger leading up to the aft deck, which can be left open in poor weather. On deck, the custom-designed cockpit was positioned as low as possible to provide protection when sailing or dining on deck and to maintain a beautiful, low-profile appearance from afar. There is comfortable seating with tall backrests for up to eight at a fixed teak dining table that can be extended when needed. Cockpit cushions and back cushions are new, 2013. Access to the side decks is easy from the companionway without climbing over the coaming. New stainless steel hard dodger with full canvas enclosure (2015).